Filmarens frustration över att nekas tillgång till arkitekten Barragáns arkiv inspirerar en elegant hypnotisk film om ägande och moraliskt ansvar. Den amerikanska konstnären Jill Magids arbete undersöker, balanserar och suddar ut gränsen mellan konsten och livet – och hennes första långfilm är inget undantag. Magids projekt kring den mexikanske arkitekten Luis Barragán (1902–1988) kör fast när det visar sig att rättigheterna till dennes samlade arbete kontrolleras av en Federica Zanco. Hon fick Barragánarkivet i bröllopspresent av sin man, fraktade alltihop till Schweiz, och ger nu ingen utomstående access till samlingarna. The Proposal kretsar kring Magids försök att närma sig Zanco för att presentera ett lika makabert som romantiskt ”förslag” med syfte att åter göra Barragáns samlingar tillgängliga för allmänheten. 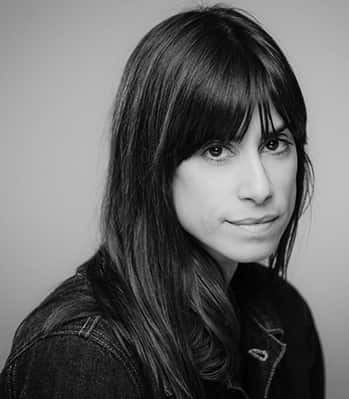 American artist and writer Jill Magid’s work is deeply ingrained in her lived experience, exploring and blurring the boundaries between art and life. Through her performance-based practice, Magid has initiated intimate relations with a number of organizations and structures of authority. She explores the emotional, philosophical and legal tensions between the individual and ‘protective’ institutions, such as intelligence agencies or the police. To work alongside or within large organizations, Magid makes use of institutional quirks, systemic loopholes that allow her to make contact with people ‘on the inside’. As a visual artist and writer, I search for new perspectives on long-established power structures. During the past eighteen years, I’ve trained as a spy, a police officer, and as a war journalist. I’ve starred in films made on police CCTV, and been hired by police to bedazzle their surveillance cameras. Gaining access to these systems takes research, trust, constant negotiation, and a series of unorthodox requests. From the inside, I engage these systems in personal dialogue. From there, I’m able to raise questions and concerns about how we live in relation to them. The Proposal? is my first feature film and the last chapter of a larger project I began in 2013 called ?The Barraga?n Archives. T?he project explores the contested legacy of Luis Barraga?n, Mexico’s most famous architect, and how his legacy is affected by the fact that a private corporation now controls the rights to his name and work. This corporation has made his work all but inaccessible to the public out of concern for preserving its integrity. The film questions whether a single actor should be exclusively in control of how the outside world can engage with Barraga?n’s work. I believe that it is crucial to discuss how artistic legacy is constructed, shaped, and manipulated. Does allowing the public to engage with an artwork threaten its integrity, or make it more integral to society over time?